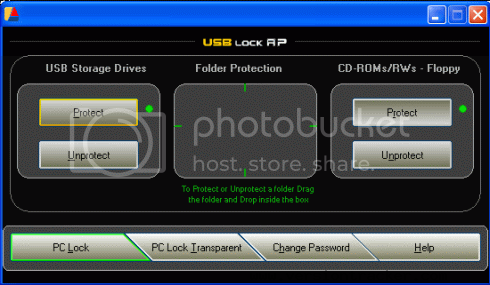 1) USB Lock RP (Control Interface) To be installed in a computer acting as security server, from were the restrictions or permissions are managed. 2) USB Lock RP (Client) Designed to offer active security. USB LOCK RP Clients work as "Windows service" at local machine level permitting its effective operation even if the managed stations count with no privileges.